Look at this picture, do you think it’s familiar? If you say yes, You probably are owners of Nissan TIIDA. You want to get a new aftermarket radio to replace your factory radio?But some of you think it’s too trouble to remve the factory radio,or some of you have already tried and failed. To be honest, this Nissan TIIda Radio is easy remove. 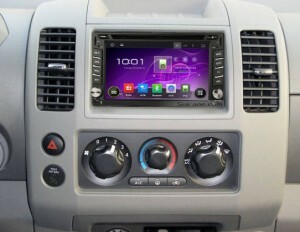 The new aftermarket radio in waving to you.And what are you waiting for?Here is professional instruction. 1)Disconnect the cable running to the negative battery terminal by loosening the nut on the cable clamp and pulling the cable off the negative terminal. 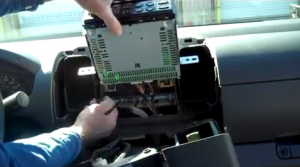 2)Remove the two screws above the Nissan TIIDA Radio opening with the head screwdriver. 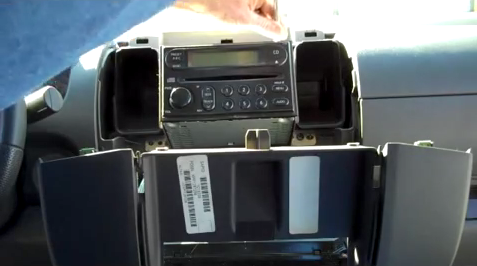 3)Pull the radio trim panel off. You may need to wedge a flat tip screwdriver under the trim and pry up on it to remove the trim. Use a clean rag to protect the trim from being accidentally scratched while prying up on the trim. 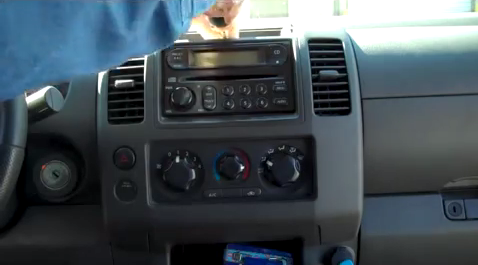 4)Remove the four screws holding the radio in place using a head screwdriver and pull the radio out. 5)Disconnect the radio antenna in the back of the radio and unplug the electrical plugs running to the back of the radio. 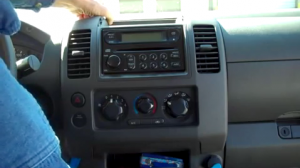 Of course,there may have other situations.You’d better ask some professionals for help at the first time.If the steps of radio ramoval are too difficult to you,you should go to a car radio shop to remove your factory radio. 1)Please apply the parking brake before the upgrade. 2)Please disconnect the negative cable on the vehicle battery to ensure security. 3)Please prepare tools for the upgrade. A lever and a screwdriver are needed. 4)Please protect the front seats and trim panel during upgrade. 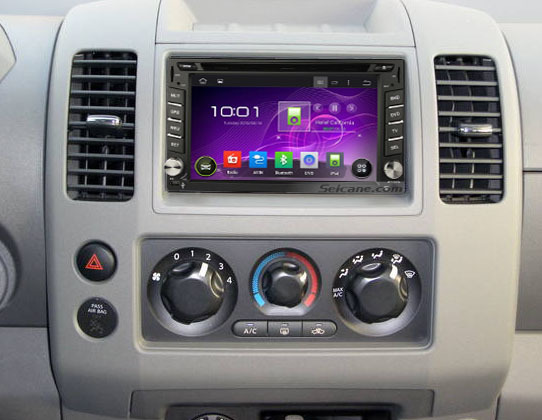 This unit has intelligent android 4.4 operation system, high quality RK3188 1.6 GHz Cortex A9 Quad-core CPU, and 6.2 inch HD 1024*600 multi touch screen with smooth operation high sensitivity. You can dial, answer, reject and mute calls without taking your hands off the steering wheel. And you can perform Google search on the road with quick search box, play online games, watch videos, download online data and check emails by connecting to any WiFi hotspot in range or 3g internet, download any applications in the android market for access to games, Skype, MSN, YouTube, twitter, E-Book, Gmail etc and so on. It will bring fun and convenience to your journey. This unit is pretty good, you can have a satisfied car life with this aftermarket Nissan TIIDA Radio.Please make sure it really fits your Nissan TIIDA at first.Wish you can learn something. This entry was posted in Nissan TIIDA Radio and tagged Nissan TIIDA Radio. Bookmark the permalink.